"The Next Best Thing to Johnny Cash"
CASH’D OUT was formed in 2004 when singer Douglas G. Benson met Kevin Manuel through an ad in the San Diego Reader. Their goal was to create the most authentic tribute to the Man in Black, Johnny Cash. 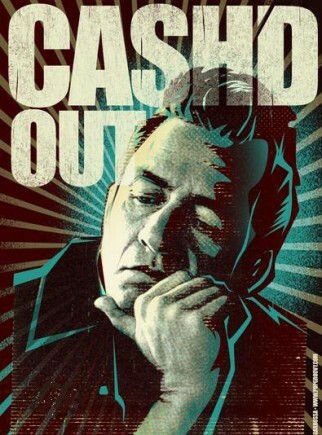 Cash’d Out is the premiere Johnny Cash tribute act, and the only tribute band endorsed by and linked to the official Johnny Cash website. W.S. Holland, Johnny Cash’s longtime drummer recently sat in with Cash’d Out at a birthday celebration for Johnny Cash hosted by Bill and Shannon Miller of JohnnyCash.com at the Fender Museum in California. The band’s live shows respectfully reference the late, great Man in Black’s early Columbia era and Sun Records sound, combined with the energy of the classic multi-platinum live recordings from Folsom Prison and San Quentin.